The Jan. 8 – 21, 2016 Nicaragua Mission Trip is complete, and our team is safely home again! Our mission team headed out on Friday, January 8, and returned January 21, after a successful mission! The group had participants from St. Paul’s Elmira, Redeemer Waterloo, Historic St. Paul’s Kitchener, Bethel Kitchener, Pilgrim Hamilton, Christ Mississauga, and two from Winnipeg. Contact person is team leader Lisa Jackson – jacklis [at] gmail.com. What did the 2016 mission trip include? Vacation Bible School at four sites (Leon, Telica, Marononal, Cartonara), for more than 1000 children (also providing leader’s guides, teaching supplies, and food for the children). To get a better idea, click here for highlights (pictures and information) of the 2014 and 2015 Nicaragua Mission trips. Please keep the team members and all the ongoing outreach work in Nicaragua in your prayers! 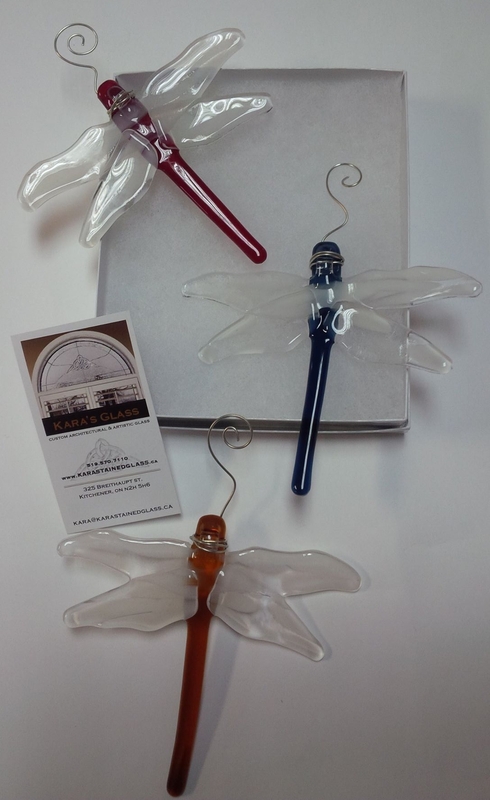 Buy some lovely gifts for yourself and others! 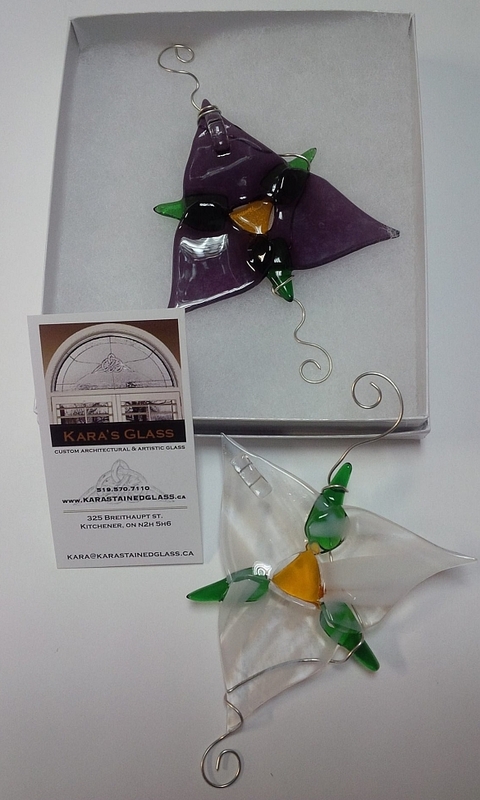 In partnership with Karen Derksen of Holy Cross Lutheran Church in Kitchener, beautiful glasswork items from Kara’s Stained Glass, Kitchener, are being w offered for sale, at $20 each. 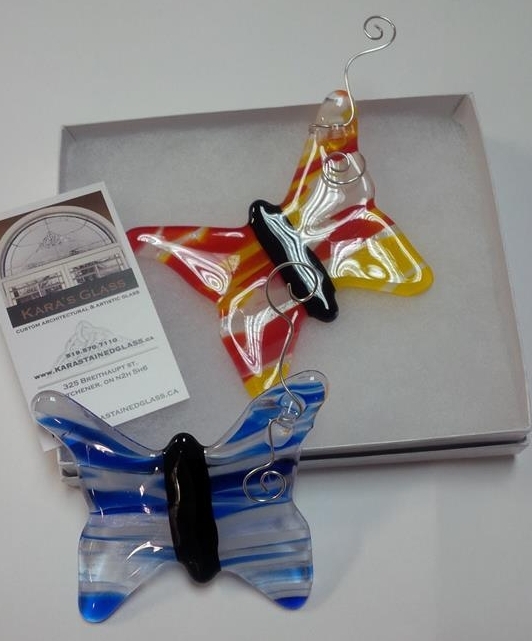 In additions to those pictured, there will also be Winter and Christmas themed glass ornaments available. Half of the cost is being donated to our Nicaragua budget. You can order these from any member of the mission team. Donate toward food hampers ($25 each). Make a donation in someone else’s name, and we’ll have cards available for you to share that connection with them. Note, one $25 hamper feeds one of our Nicaraguan families for a month; no overhead costs are deducted. Hampers are hand delivered by one of your Nicaragua mission team members. Donate any $ amount you wish toward the mission. This entry was posted in Christian Education, Community & Missions, Nicaragua Mission, Nicaragua VBS. Bookmark the permalink. Enter your email address to receive new posts in your email.